So, I've commented this morning that I felt like I was unplugged all weekend. Swimming at the beach, the public pool, fire pit time, etc... it was a lot of outdoors and enjoyment for me. I hope the same for you. Definitely not a lot of 'screen time'. 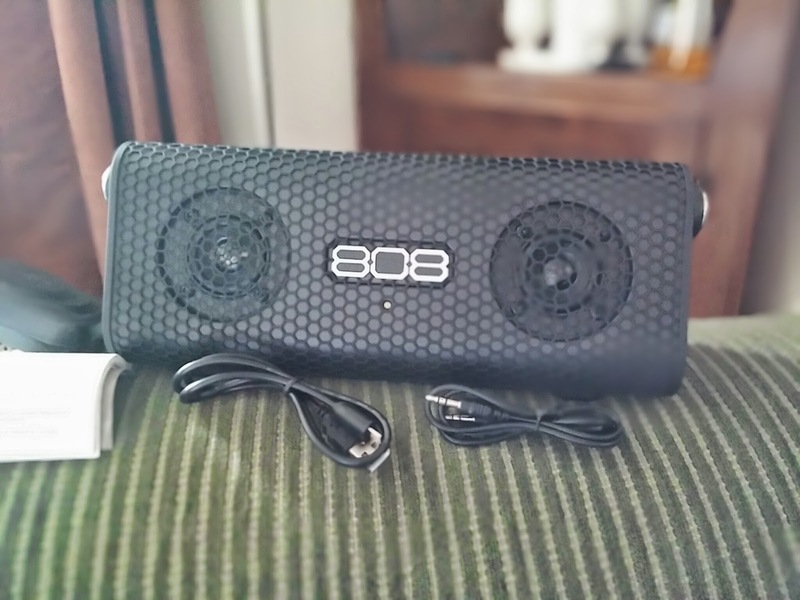 That being said while I was at the beach it gave me the great opportunity to play with a new toy that was sent to me by 808 Audio - the Hex XL portable speaker. This thing is pretty cool. After taking it out at the beach and having had a few test runs at home my son ran around telling our friends that "this is my favourite thing". Sure, anything that would play "Everything is Awesome" for him is probably his favourite thing, but he's not far off the mark for how awesome it is. 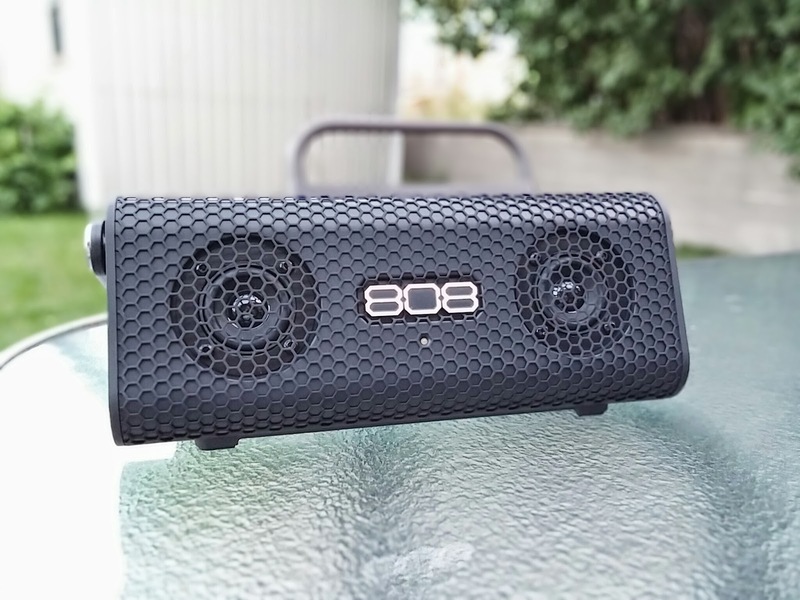 It really is one of the best portable speakers I've tried out. Let's describe it first... essentially a small triangular prism with a grill on the front and on the bottom. It has a holding handle and a carrying strap. It feels really solid! The 2 front facing speakers are nice and crisp, and the down facing woofer really brings the full orchestra with the bass. 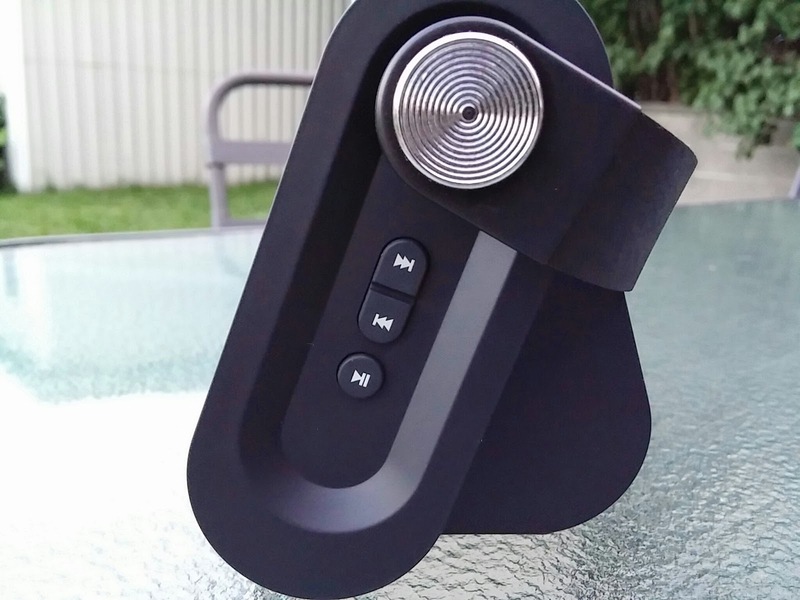 Putting it on the patio table with the glass really makes it loud loud loud. 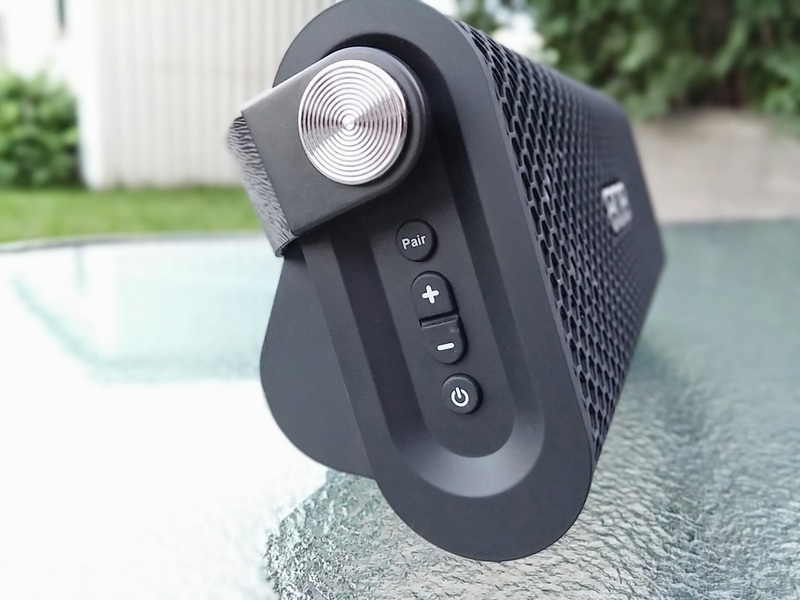 It comes with a charging cable and a headphone line to plug your device in, but it connects wirelessly via Bluetooth, and pairing is ultra simple. Turn on the device, turn on your phone's bluetooth and look for Hex XL in the list and it'll pair up and connect. It has audio tones and everything to let you know it's all working. I've used it between a few different devices and never a problem switching and connecting (just don't all try at once). The battery in the device charges by a microUSB cable (but keep in mind that it wants 1.2A... so anything less would just take a long time to charge). Once charged up you should get about 10 hours of playback (they say at normal volume). It easily lasted the 4 hours we used it at the beach and then a couple more at our fire pit. The device has some buttons on either side... playback controls on one, and volume/power/pair on the other. I've never used the 'pair' button yet... no need. There's a little blue light at the front to let you know it is powered on. As an audiophile, it is a great sound. 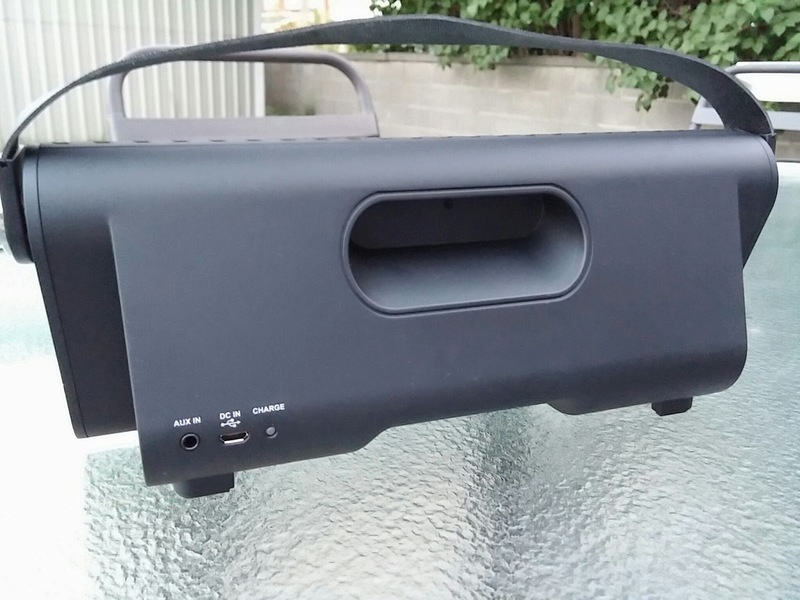 Not any overpowered Bose system, but definitely adequate for a nice spot at the beach and more than enough for your backyard party time. The device runs $99, and is definitely a buy in my book. My best recommendation is to put it up somewhere higher than on the ground (the grass where we sat near the beach muffled a lot of the bass) and if you can get that woofer over some glass it'll be awesome.